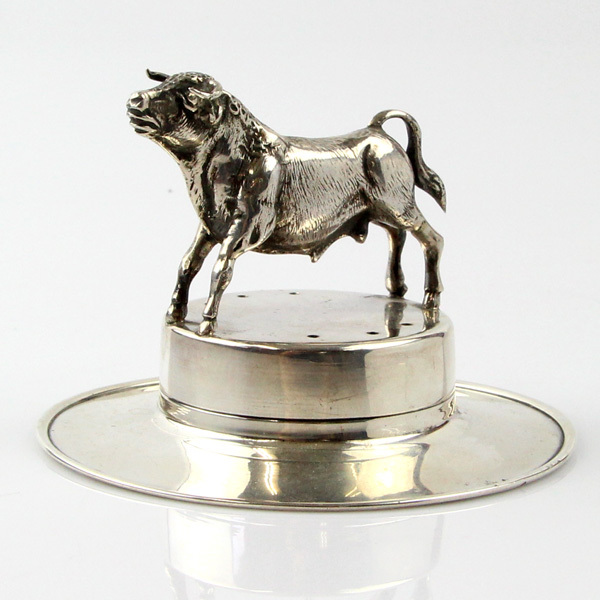 Pasarel - Novelty Silver Fighting Bull On A Spanish Hat Toothpick Holder, Spain, 1940’s. 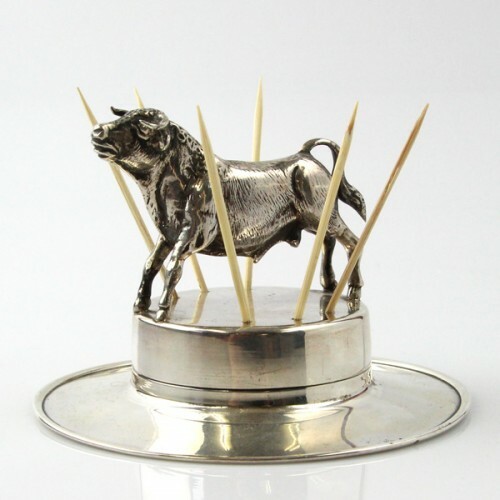 Novelty Silver Fighting Bull On A Spanish Hat Toothpick Holder, Spain, 1940’s. Made with a sculptured figure of a fighting bull on top a traditional Spanish hat with six holes to hold toothpicks. Very good condition, minor scratches. 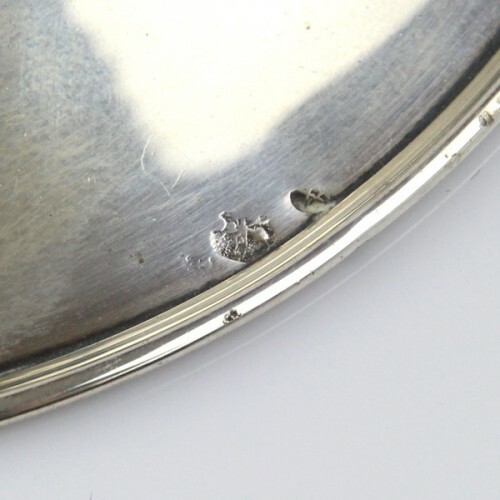 Diameter – 10.5cm / 4.13in. 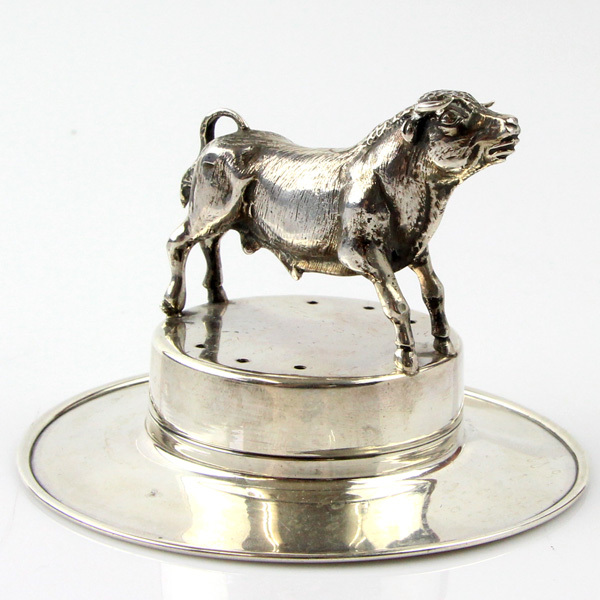 Height – 7cm / 2.75in. 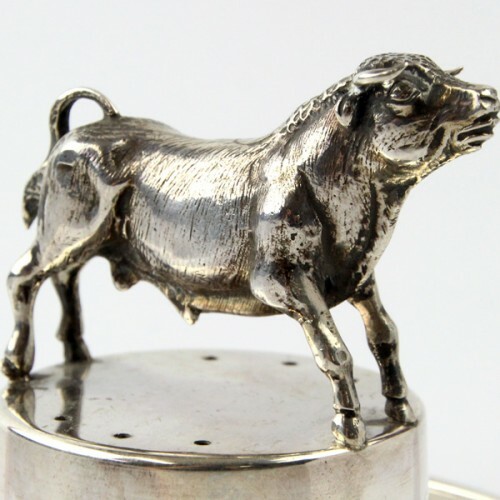 Spanish silver marks (915 standard).